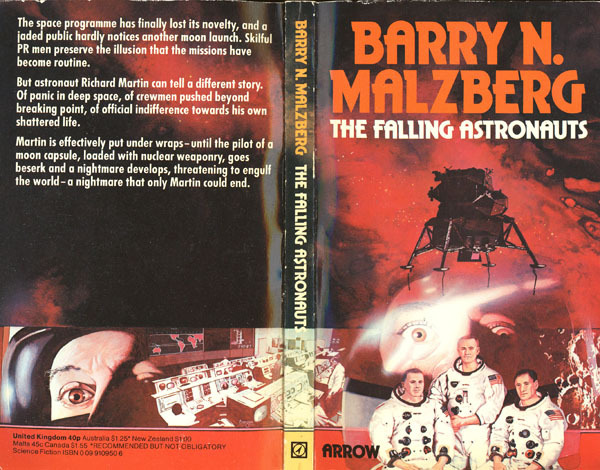 The Falling Astronauts (1971) (from now on FA) is the first in Barry N. Malzberg’s thematic trilogy on the American space program. 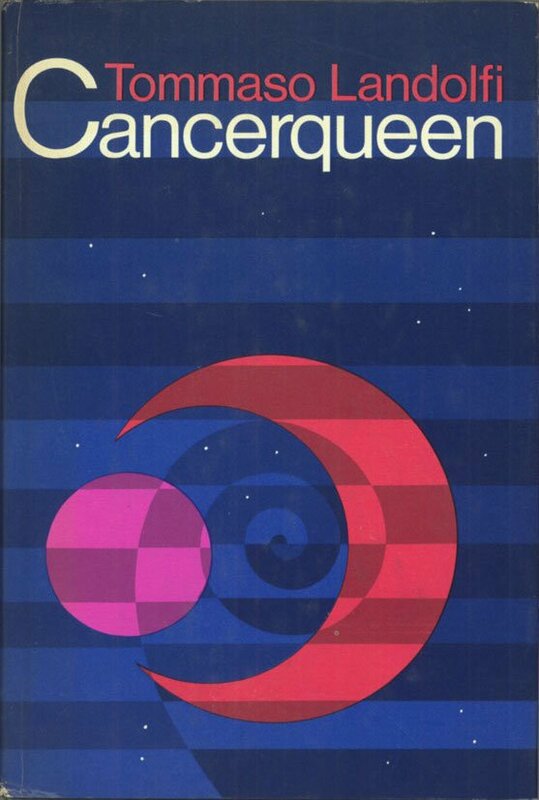 Although not as engaging or experimental as the other two masterpieces in the sequence — Beyond Apollo (1972) and Revelations (1972), FA is highly readable and a notable work in Malzberg’s extensive corpus. FA attempts to debunk the so-called cult (in part propagated by the media) of the astronaut (and his ideal family) and in so doing questions the ultimate purpose of the space program. However, in Malzberg’s searing vision the space program makes machines out of naive young men seduced by the idealistic message of scientific exploration, creates unstable individuals who can (and do) have mental breakdowns, and utterly wrecks their personal lives. The first scenes in FA concisely introduce Malzberg’s central themes. First, the mechanization of man resulting from an increasingly technological age… In the first scene Richard Martin, our disgraced astronaut, experiences sexual relations with his wife (who may or may not be asleep) as, literally, a mechanical act: “DOCKING MANEUVER: He feeds himself into her slowly […]” (7). “He is not The Astronaut. This depersonalization must cease; he must heed the advice of the psychiatrists and keep his “name.” his “identity” in front of him at all times. “The Astronaut” came later; it was only a function. His name is Richard Martin. “Richard Martin.” In the bed he says it once, quietly” (9). The narrative concerns Richard Martin’s recovery from a crisis while he was in command of the orbiting module on one of the Apollo missions to the moon. During a communication blackout while the other astronauts were on the surface, Martin experiences a mental breakdown — queue lengthy scene filled with strange Freudian undertones where Martin experiences intense arousal and desires above all else, to press the “BUTTON” (with whom he holds a lengthy conversation) that will return the module to Earth abandoning the astronauts on the surface to lonely death… The situation is eventually averted. After Martin returns, the agency — fearing a fallout regarding the state of its astronauts if he’s immediately sacked — places him in charge of interacting with the press for another space mission. The position as a press liaison is the perfect vehicle for another one of Malzberg’s central themes: the quest for the truth. The press wants “the truth” but obviously, the press responds to the type of story wanted by their readers. Martin can only transmit what the space agency wants him to although the manner in which he does so adds another layer of meaning. At moments Martin wants to open up and discuss something of the horror of his previous mission. Likewise, one of the astronauts on the mission, Allen, wants Martin to tell the “truth” of “The Astronaut” experience: ” You’re working with the press now. The civilians. And you can talk to them as a civilian. You’ve got to get the truth out. The truth, do you follow me? […] Tell them what it’s like […] How it feels to be inside here, looking out on it” (41). This mission will take three astronauts on yet another lunar flight. However, this time around the capsule will contain nuclear warheads for a nebulously defined (on purpose) scientific mission regarding Earth’s origins and discovering the nature of the moon. Although framed as a purely scientific expedition, undertones of Cold War type arms race posturing is evident. Richard Martin empathizes with one of the astronauts, Busby. Due to the fact that Busby’s wife had recently died and rumors circled that he had cheated on her, he had almost been kicked off the mission. Here Malzberg is directly referencing the astronaut Donn F. Eisele who was almost left off of the second manned Apollo flight due to his involvement in an extramarital affair! 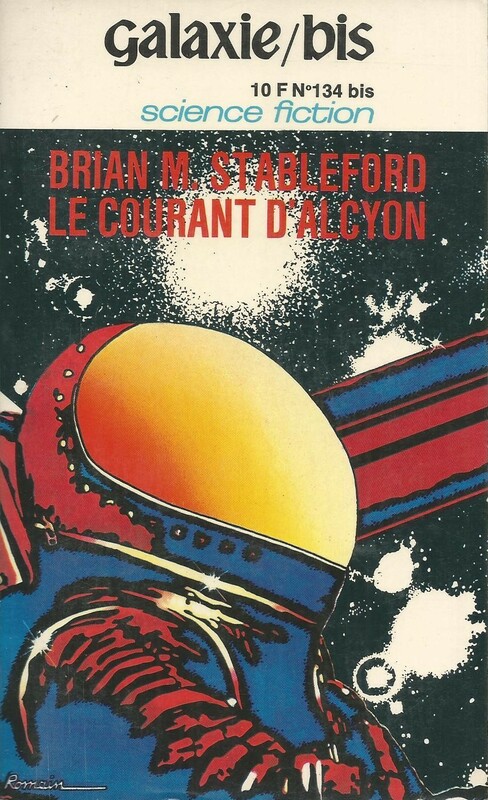 Exposing the disconnect between the public expectations and idealization of The Astronaut — immaculate in duty and immaculate in personal life — and the “reality” of an astronaut’s experience is the conceptual core of the novel. Richard Martin’s own personal life is case in point. The narrative follows the slow breakdown of his marriage. His wife is unable to tolerate the expectations heaped on her as the wife of an astronaut. Likewise, she loses feeling for Richard due to the drastic changes in his character resulting from his crisis in space and the dehumanizing forces of the agency. 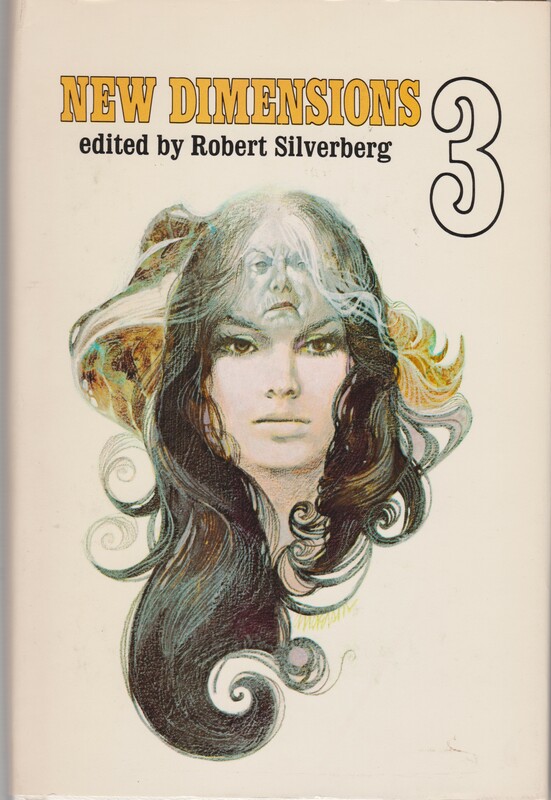 FA is best read with the knowledge that Malzberg expanded the themes discussed in his two later novels in the thematically linked astronaut trilogy — Beyond Apollo (1971) and Revelations (1972). Because I read them out of order I found FA a fascinating look at Malzberg’s budding thematic development. Without doubt Beyond Apollo is more refined in structure and Revelations more searing (and unnervingly prescient) in its message, but all three should be read. Although lacking in many of the more explicit metafictional techniques of BA and R, a few obvious (well, not as explicit as those in Guernica Night) authorial interjections seep through — namely, on the genre of science fiction. 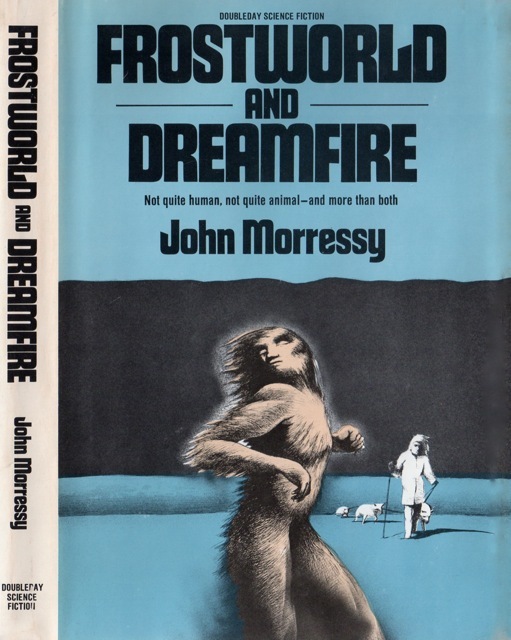 For example, pulp magazines: “[Science fiction] appealed to [Martin] because it simplified things enormously. 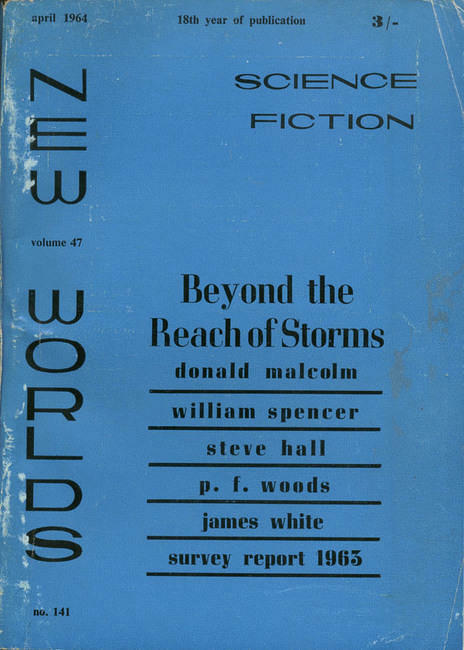 In the science fiction magazines of that period there had been stories of men who had gone out into the Universe in great rockets to conquer civilizations and make them safe for earth; now and then these men had had problems of course but nothing which the great rockets to say nothing of a shade of physical violence could not resolve […]” (106). FA is a successful attempt to “un-simplify” the realities of space travel — to counteract the idealistic narrative propagated by pulp science fiction, facilitated by unabashed scientific positivism, and gobbled down by the adoring public who hold their astronaut celebrities to impossible, almost inhuman, standards. 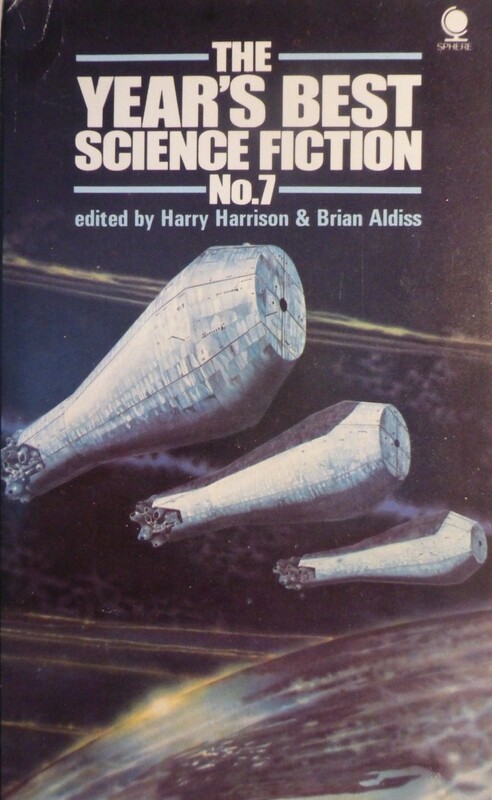 I think Ken MacLeod might come kind of close – in so far as he is also very politically aware, also very critical of any kind of establishment, and while not as meta-fictional also attempts to break out of the realistic dogma most Science Fiction still adheres to. He also is not above poking all kinds of fun at SFnal (and other) clichés. Not nearly as bleak as Malzberg, though, which might be a good or a bad thing, depending on your own world view. 😛 I’d strongly recommend his Fall Revolutions (four volumes, starting with The Star Fraction). Great article, I’ll tweet this out there. Thanks. Have you read any of Malzberg’s works? I haven’t, but the themes mentioned here have enticed my interest. Outside of this series, what would you recommend by him? Remember, it’s more of a thematic sequence rather than series — they can be read individually. Of the three Beyond Apollo is the most critically acclaimed and the more acknowledged classic. But one tough read, that’s for sure! I recommend In The Enclosure (1973) — what a terrifying experience! 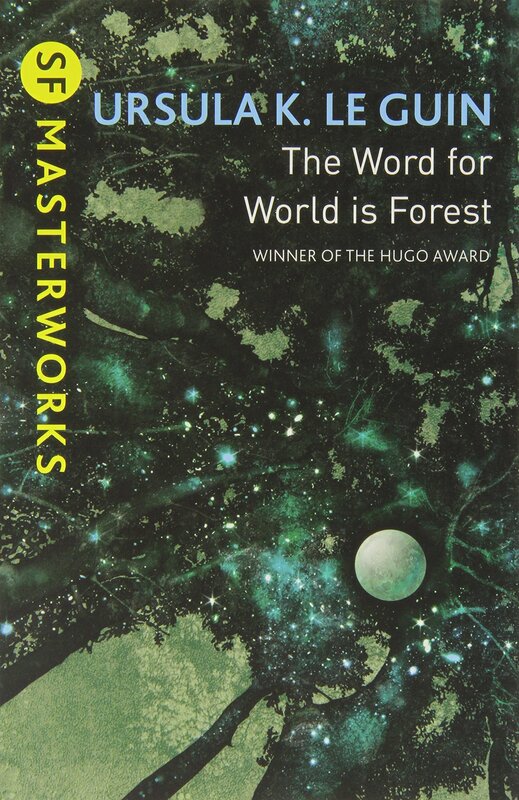 I’ve yet to read his other more famous works — Herovit’s World (1971) and Galaxies (1975). 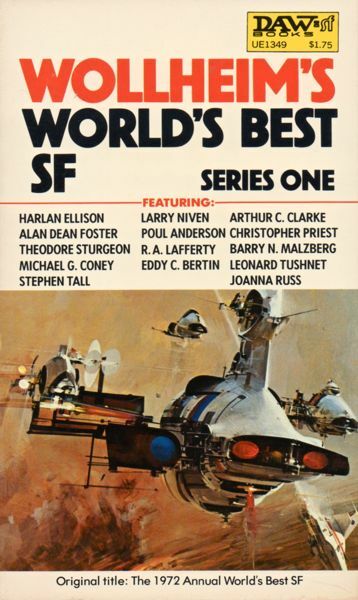 Interesting that you haven`t read much recent SF–Same here. A quick look at my piles of books read for 2012 shows SF from the 60s and 70s, nothing later. Have you written a post as to why? If not, it might make interesting reading, if you were to explain why. I haven`t read this one, thank you for your support of Malzberg`s very interesting work–you should drop him a line, maybe you could chat with him. I will order this one from Amazon. For anyone just starting on him, Herovit`s World would make a better intro, I think, than Beyond Apollo or Galaxies. I love these two but I wished I`d read HW first, as a kind of warm-up. Reasons I don’t like new science fiction — hard science fiction (nanotechnology, internet related technology, etc) really frustrates me — QUEUE, Charles Stross absolutely painful read, Singularity Sky (2003). 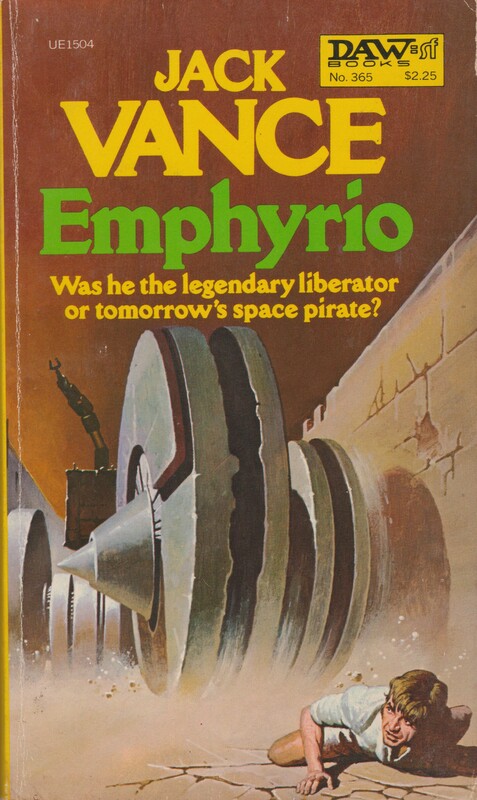 Which, was, if anything, a massive turning point in my sci-fi reading career…. Because I am a historian I find myself naturally more interested in older texts. For me terms like “dated” or “so 1950s” are simply indicators of the era and not deterrents. I also tend to enjoy the social developments of the 60s and 70s and thus, the sci-fi products of those times. Also, I tend to NOT like space opera unless it has some heavy social themes, environmental themes, literary quality, intriguing surrealism (there are some I scarf down though, it all depends) — so, the 80s saw a massive increase in that subgenre — Vinge, etc etc. 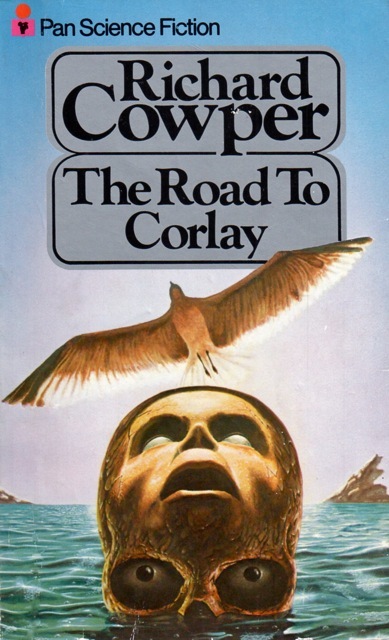 The cover art went downhill as well post-1980…. The great bloat afflicted everyone. As in, most novels had to be more than 400 pages. This sounds silly, but increased length doesn’t necessarily equate more interesting characters, worlds, scenes, or concepts… The overwhelming desire to be epic, grandiose, meaningful, glorious, sustained!, majestic (this adjective list: case in point). A case of empty words? There are some authors who are newer and I really need to read eventually — M. John Harrison’s newer works, Jeff VanderMeer’s sci-fi (I’ve read some of his fantasy and was impressed), China Miéville (especially The City & The City)– the new weird movement intrigues me as well…. And I guess that makes me an old man set in my ways…. 😦 But the period I like seems to have given the cover artists more layers and dimensions to work with when coming up with a cover. The stuff I see in the new releases [or the sf shop in Cambridge, MA] have covers in that narrowest category–a scene taken from the book illustrated in a representational/realistic style. It`s like the devolution of movie posters from wild 60s/70s stuff by Peak and others to The Star`s Face Looking At You. There is another central theme of Malzberg’s that I would add to the list, namely the vast emptiness and indifference of space that does not care about humans and where humans with their cavemen-sensibilities of looking for a warm and cozy place might not at all belong. I suspect this cues in with a larger pessimist view of existence that sees the world as basically indifferent and devoid of significance and any kind of order or meaning imposed on it by humans are just projections that eventually crumble when faced with this. This is an attitude you actually find in a lot of postmodern writers and makes one wonder if there might be some deep connection between metafiction and pessism. That`s an important point. Gone is the idea of pre-ordained or God-given protection as Man moves out into the dangerous unknown. It is similar to Lovecraft`s attitude about his Elder Gods–those who copied him [or August Derleth who reworked bits of Lovecraft in his wretched `collaborations`] made them evil, aiming to destroy humanity, but the REAL horror was they didn`t care about us and would wipe us out in a second if we bothered them even a little. Malzberg`s is a harsh uncaring universe without any guiding hand, whether God or Arthur Clarke`s science that could be mistaken for marriage or any modern scifi analogy like The Force. Malzberg`s ultimate taboo breaking may be an embrace of atheism. Malzberg’s harsh uncaring universe was desperately needed in the unabashed positivism sweeping through the genre at the time 😉 Especially considering what he was raised on — pulp magazines. Regarding social issues, I do see such things as terrorism and our response to it, minority rights and such in some of the books coming out, it`s just that they seem to be buried under the SF apparatus. Dystopias and zombies, even, are metaphores for various issues about The Other in society. But I have to agree that in the early period the social issues were foregrounded and actually discussed in the books. Today folks like David Gerrold write about gay issues in Trek-like worlds, Sherri Tepper about feminism, and a lot of folks like Cory Doctrow are writing about intellectual rights and human rights in the cyber era, and there seem to be a lot of Third World topics. It just seems to be submerged in all this smart-alec writing and hipper-than-you posing with tattoed perfect-bodied heroes on the covers who `rebel` in acceptably PC ways. A big bore to me, and `identity politics` is another area where being controversial means having the approved views. What’s your favorite of his works? Hmm, Gerrold. I read Space Skimmer and it was complete crud — but yes, I felt the Star Trek-esque (well original series) type set up.. but, was sorely disappointed. I haven’t read any of his newer works. I’ll get to Sherri Tepper’s works eventually, and probably Doctrow, but not in the mood as of late. I am making my way chronologically through MacLeod’s work and so for am only up to Newton’s Wake. My favourite so far is still his Fall Revolutions series (if “series” is even the correct word, seeing how the novels form not so much a sequence as alternative versions of each other). Engines of Light is excellent too, not quite as good (in my opinion at least) but maybe somewhat more accessible. I was a bit disappointed with Newton’s Wake but it is still a very enjoyable novel and one I’d gladly exchanged for the complete billion-page-oeuvre of a Peter F. Hamilton. Joachim, Well, I didn`t say Gerrold`s stuff was GOOD, just that it dealt with the social issues he finds interesting. 🙂 I am, like many, a political mix but am somewhat to the right, though I am most interested in free speech, individual freedom, a free-er economy, and I work in social services; I`d say 99% of the fiction I read is from a leftist perspective–make of that what you will–but in all cases it isn`t the political bias that makes me stop reading but when I find the writer is saying those who don`t see things his/her way are ignorant troglodytes while all the heroes are perfect. [Thus my allergy to Star Trek, and Cory Doctrow, and interviews with most writers I like, and most I dislike, like China Mieville.] 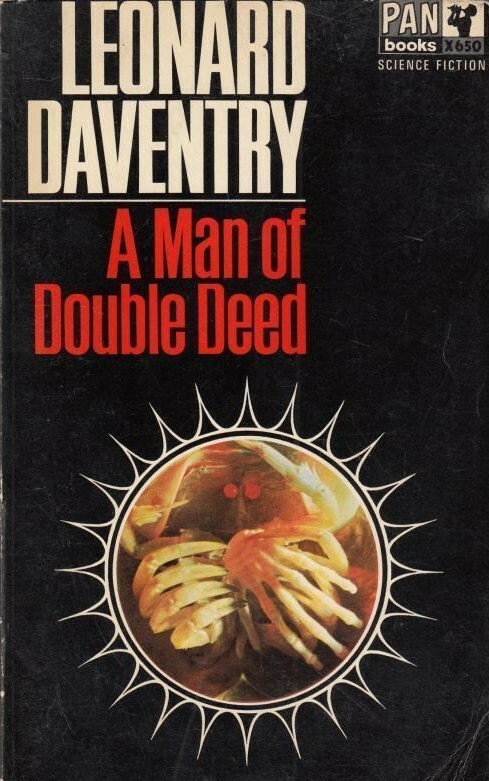 Samuel R. Delany, an avowed commie homosexual from a rich family, is nothing like me, at all, yet I find his SF at its best to be the shining standard for excellence.I find the politics of modern SF a joke for a genre that prides itself on diversity where it counts in art–in the mind. Yeah, Delany can be brilliant…. Gerrold will always have my respect for THE MAN WHO FOLDED HIMSELF. I read it in sixth grade in one afternoon and it blew my mind–it was the first adult novel I`d ever read, I think. I can`t say I`ve liked much else of his I`ve read, but I like that he writes about something more than aliens and spaceships when he writes SF.